UML is an industry standard modeling language which uses visual diagrams and elements to create software documentation and design. Reverse engineer legacy code and database schema. Involve the whole design team. UML used in scientific and business worlds. The UML is a tool for specifying software systems. 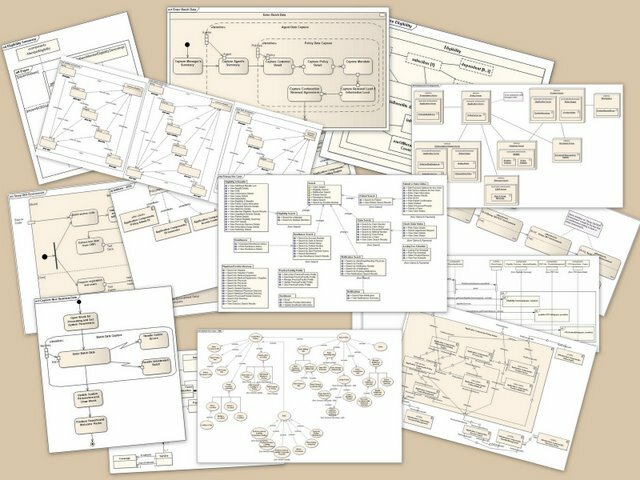 Standardized diagram types to help you describe and visually map a software system's design and structure. UML is independent of target platform. UML is naturally oriented towards Object-Oriented programming. The UML is a tool for defining the structure of a system to manage large, complex systems. Building up libraries of UML Patterns simplifies the re-use of models and code. Use Case Model - Describes boundary and interaction between the system and users. The Interaction Model - describes how objects in the system will interact with each other. The State Model - Describe states /conditions of classes change over time. The Physical Deployment Model - describes the physical architecture and the deployment of components on a hardware architecture.